Wood Chipper Ch150 Heavy Duty - Reach It! - Move It! - Crush It! 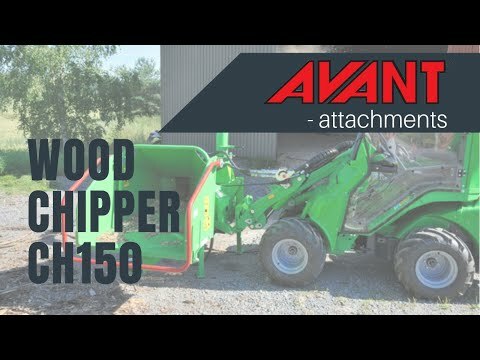 Avant CH 150 is a powerful wood chipper, equipped with a feeding unit which draws even the most stubborn tree branches into the chipper. The unit is equipped with two feed rollers that are governed by an rpm guard on the chipping drum. The chipping drum will not seize, because when the chipping drum rpm is too low the feed rolls will stop and allow the chipping drum to gain rpm again. The CH150 is designed for professional landscapers and property maintenance companies who require a high efficiency from the chipper.